Will you be there? Logitech will – in full force. This year, we will have two booths at Integrated Systems Europe (ISE). You can visit us at stands 11-C110, where we’ll focus on our video collaboration offerings, and in stand 15-255, where we’ll feature our full range of Logitech business solutions. Logitech’s biggest news since ISE 2018 was the announcement of Logitech Rally, our premium modular video conferencing solution for mid-sized and large meeting rooms. This year’s show will be the first time we showcase the full Rally System at a major European industry event. Attendees will see firsthand its impressive studio-quality 4K video, exceptional audio clarity and more smart features that helps to get the most out of a meeting space. 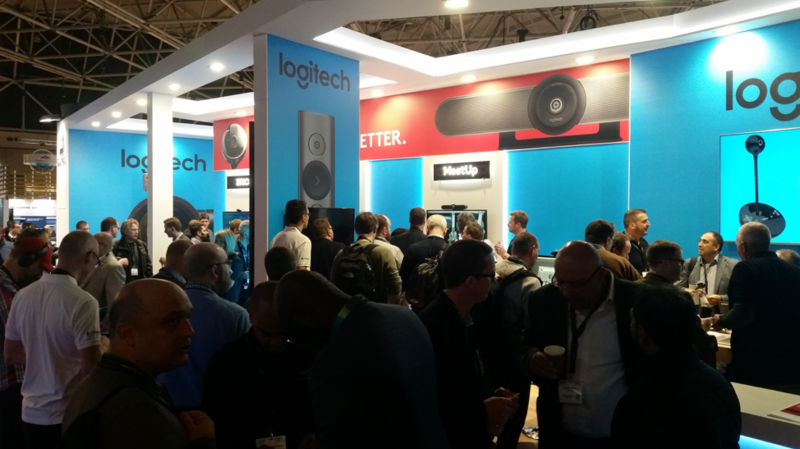 Logitech is also looking forward to highlighting new solutions for the AV space as a whole, building on the same expertise that has helped us to disrupt the video conferencing space and emerge as a market leader. Logitech is presenting daily at 2pm in the Google Cloud Booth (15-U265), where we’ll highlight newest room solutions for Google Hangouts Meet. On Tuesday and Wednesday, we’ll be joined by Doug VanOast, Head of IT & AV at Twitter, to learn more about their experience with meeting room solutions from our Logitech and Google Cloud. Additionally, Logitech has recently added several new partners to the Logitech Collaboration Program, including Icron, a developer of high-performance USB extension solutions; Tryten, a maker of secure kiosk solutions for A/V systems; Salamander Design, provider of customizable AV furniture; and Panopto, a leader in online video platforms for businesses and universities. As we look ahead, it’s hard to believe this will be one of the last times we’re in Amsterdam for ISE, a city nearly synonymous with the show. From its inception, ISE is now the go-to industry event for everything UC, AV, digital signage and more. That the show has outgrown the RAI and requires a larger venue is indicative of its growing importance. Regardless of location, we are confident that both ISE and its vendors partners will continue developing and showcasing solutions that expand A/V from the boardroom to the home office. We’re proud to be a part of it. And for now, it’s off to Amsterdam so stay warm! We’re looking forward to seeing many of you again this year; if you’d like to book a meeting with us in advance of the show, please click here.